The gently-swung, lily-shaped handles of Jardin are decorated with graceful floral ornaments. This cutlery is simply made for festive dining outside in the garden. Not for nothing is it named Jardin, the French term for garden! Like a beautiful bouquet of flowers, Jardin looks wonderful on any table. 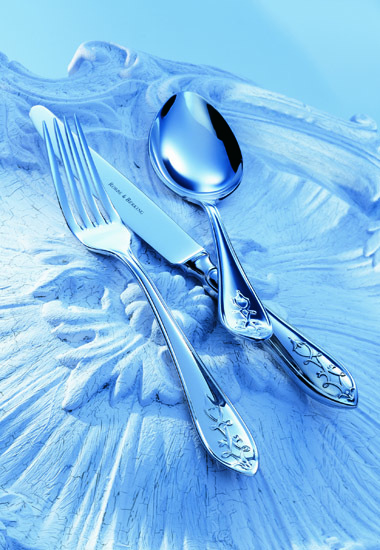 A stainless steel cutlery whose decorative elegance fits perfectly to relaxed, informal enjoyment.